One thing you can do is search for practice sheets online. 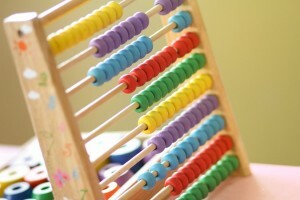 It's highly likely that you'll find something suited to your child's math level. Encourage them to complete them correctly so they can get stronger math skills every day. When you stop to think about it, there are math practice opportunities all around us. For that reason, use real-life math with your child. For example, next time you're at the supermarket, have them add up the total before you get to the counter. This will probably boost their interest in learning math as well. Talking to your child about math can also aid in their math mastering efforts. For example, ask them about a math concept, or to explain a math problem. This will get them thinking and practicing math inadvertently. Finally, who says practicing can't be fun? You can help your child get better at math with the use of special toys, apps, online games, and other similar objects that are designed for that purpose. Your child can become a great mathematician with help from The Tutoring Center, The Woodlands TX. Call (281) 602-3839 to request more information on their academic programs, to enroll your child in tutoring in The Woodlands TX, or to schedule a free consultation.